An Estimated 15,000 people on Goodenough Island in the Kiriwina Goodenough District have been left homeless and face severe food shortages following strong winds, likened to a cyclone,hit the island late last month. 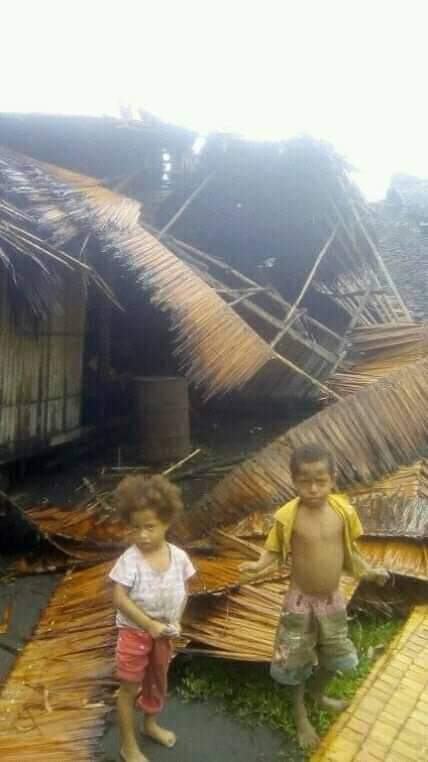 Reports received this week from Ulutuya Village Recorder, Mr. Benedict Towawala, indicates, the strong winds hit the whole island, but the worst hit were 10 ward council areas in the Northern part of the island including; Diodio, Aikawa, Waibula, Ufaufa, Ibawana,Watuluma, Idakamenai, Ulutuya, and Hiyavali wards. 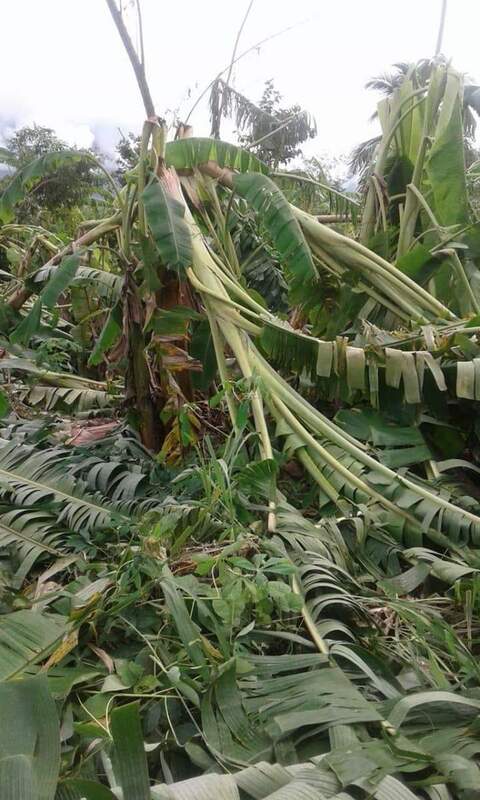 Another report from councilor Abraham of Aikawa ward, said the Strong winds destroyed 85 houses in his Ward and destroyed all food gardens as well as Sago Palms which are used for food and building materials for housing roofs. The only telecommunications tower set up by Digicel at Mt. Oyava’ai near Santa Maria Secondary School, was also destroyed and so communication with the outside world has be completely cut off. As a result, thousands of families currently face severe food shortage and are resorting to wild yams, and coconuts to sustain their families, because there is little support coming from the Government. They fear they won’t have food to feed their families because their new food gardens will take up to 6 to 8 months before they can be ready for harvesting. School buildings including the Santa Maria Secondary School, Watuluma were reported to be damaged including a hall and a teacher’s house when trees fell on the buildings. Seven (7) Primary Schools and the Secondary School have suspended classes to allow for repairs to damages and reconstruction of new classrooms. The people of Goodenough Island were earlier affected by a long drought in late 2018, followed by heavy flooding in February 2019, and now this Strong winds bringing more destruction and suffering to the people of the island. The people of Goodenough Island desperately need relief supplies mainly Rice, to feed their families while they make new gardens which will take up to 6 to 8 months to be ready for harvesting. They also need medicines immediately against flu and malaria. For rebuilding of houses they need chainsaws to cut timber to rebuild their houses. There are already some relief assistance dispatched to Goodenough Island by the Member for Kiriwina Goodenough Douglas Tomuriesa and the Catholic Church in Milne Bay Province but it is not enough to feed all the families for a longer period. The Milne Bay Provincial Disaster Office sent an officer to Goodenough Island two weeks ago to assess the damage and produce a report to the Provincial Government for relief assistance. However to date this report is yet to be released to the National Government hence this assistance is not forthcoming immediately while disaster victims are suffering of severe food shortages. Meanwhile Goodenough Islanders living in Port Moresby have commenced fund raising activities to assist their relatives back home. They Plan to do a wheel barrow push throughout the city next weekend to raise funds in support of the disaster victims on Goodenough Island. I am therefore appealing to the National Government, any donor agencies and business houses to assist with the Relief assistance towards helping the people of Goodenough Island.